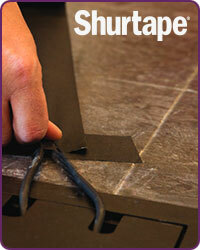 Shurtape Gaffers Tape at HAVE, Inc.
Based in North Carolina, Shurtape is a privately owned company proudly serving markets ranging from painting and packaging to HVAC and transportation. Their global manufacturing, distribution, and service capabilities position them to satisfy the growing needs of an international audience searching for competitively priced, high quality tape solutions. If there is a Shurtape product you need that you don't see here in our store, just send us an e-mail or call us at (888) 999-4283 and we'll get it for you!